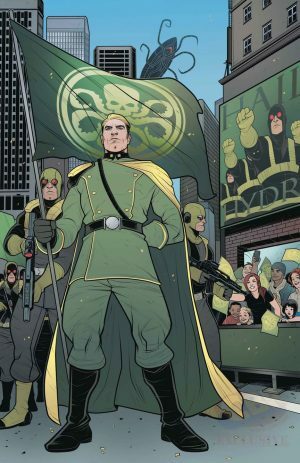 Marvel Now 2017 and Secret Empire May 2017 Solicitations Spoilers follow for Steve Rogers: Captain America #17! CBR has a look at Captain America: Steve Rogers THIRD green Captain Hydra costume for Secret Empire. This follows the earlier reveals of the TWO other costumes although one may just be an editorial error or in fact Marvel wanting more action figure options for cross-promotion.